The latest in a remarkable series of books by women about the Iraq War, Be Safe, I Love You tells the story of returning soldier Lauren Clay and the challenges she faces in re-entering the lives of her family, friends, and civilian society. 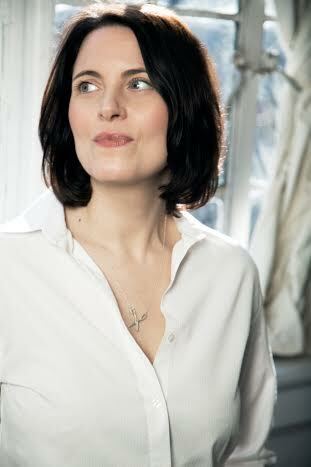 What makes these female-authored novels distinctive is the authors’ decision to focus on aspects of the war that usually fly under the radar of both media and public awareness: what it’s like to be a female in the military; what life is like for the wives (and, increasingly, husbands), children, and family members left behind; surviving the homecoming; coping with Post-Traumatic Stress Disorder; and adjusting to a world in which the war seems distant both literally and figuratively and civilians often have inaccurate and distorted views of the war and what our military personnel are doing while on deployment. Hoffman’s book is both a fever dream of one soldier’s struggle with PTSD and a domestic drama about a splintered family and an isolated upstate New York town with little to offer the soldier or its civilian residents. When Lauren Clay arrives in Watertown, her severely depressed father Jack and precocious younger brother Danny are understandably overjoyed to have her home and in one piece. Seemingly. But it soon becomes evident to Lauren’s boyfriend Shane, best friend Holly, and even to Danny that “she is not herself.” She tries valiantly to “act as if” she is well and happy to be home, and in occasional moments, she is. But there are warning signs: she is sullen, distracted, and preoccupied. She has a hair-trigger temper and is particularly annoyed when people fail to do what she says. As a sergeant with a platoon under her command in Iraq at age 21, she is used to giving orders and being obeyed without hesitation. We learn the key elements of Lauren’s back story. Following her parents’ divorce, she took care of her depressed and bed-ridden father and younger brother all through high school while having no contact with her mother, who remained incommunicado in Buffalo. Lauren is a gifted student and singer with a bright future at the college of her choice. But with the family’s money problems, she feels obligated to join the Army for the relatively lucrative pay. She puts her college education and singing career on hold to take care of her family the only way she can devise. During her time in Iraq, she is caught in the double pressure-cooker of her family’s needs and her duties as a sergeant in a surreal war environment. We also learn that she became very close with a fellow soldier, Daryl Green, with whom she made plans to reunite and possibly work together in the Jeanne d’Arc oil basin off the coast of eastern Canada. Daryl remains a mystery to us, presented only through Lauren’s memories of their time in Iraq and thoughts of continuing their friendship at home. But something doesn’t feel right about this situation, and the foreboding feeling only grows as the story progresses. Lauren’s relationships with everyone except Danny, whom she adores, soon deteriorate and she becomes increasingly obsessed with visiting Daryl and moving ahead with their plans in order to establish the new future she desires. After reestablishing tenuous contact with her mother, who asks her and Danny to come visit, Lauren decides to make the trip, but only after a detour into Canada to visit Daryl and the coastal oil fields, to which she feels she must make a pilgrimage. The mystery deepens, the ominous mood increases, and the last quarter of the novel becomes a suspenseful psychological thriller as we watch Lauren’s untreated PTSD play out. Although the plot was compelling, I was equally impressed by the quality of Hoffman’s writing, which alternated between a powerful directness and moments of haunting prose poetry. The supporting characters of Shane and Holly, Shane’s three uncles (so similar they are known as “the three Patricks”), Lauren’s eccentric Gulf War-damaged vocal teacher Troy, and her mentally ill father are well-drawn and credible, and they play a key role in making Lauren’s story realistic and riveting. The reader cares about these people and wants things to turn out well for them. 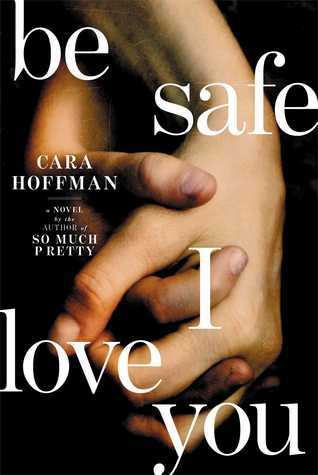 Be Safe, I Love You is just Cara Hoffman’s second novel, but you will know you are in the hands of a master here. You can add Hoffman’s name to those of Benedict, Fallon, Robinson, Carpenter, and Schultz as writers who have shown us the true and long-lasting consequences and costs of war.